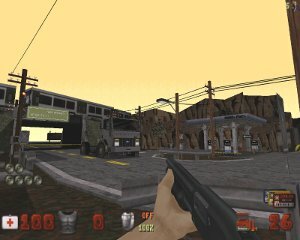 This page is dedicated to the history of the early DOS FPS called Duke Nukem 3D. It describes what I know of its history, the projects it's spawned, and its current state. It is told from the viewpoint of myself, as a member of several of the mapping communities. Please note that this awesome game can be purchased brand-new for only $5.99 at gog.com--an excellent deal for such a classic! For those of you not in-the-know, Duke Nukem 3D is an early DOS first-person shooter game released by 3D Realms in the early 1990s. The BUILD engine powering the game was technologically advanced for its time, sporting a '2.5D' sector-based system that allows for fascinating glitches and sector-above-sector effects, though its release was soon overshadowed by the famous, fully 3D game Quake. There were several version released, including a episode, the original 1.3 3-episode game, and an 'expanded' Atomic Edition, which brought an entirely new episode into play (A 'Plutonium Pak' allowed 1.3 users to upgrade to the Atomic Edition). I personally was lucky enough to be given an original Atomic Edition CDRom, and immediately started playing on our aging Windows 98SE computer. This was a year or two before the release of Windows XP, and so Duke Nukem's DOS executable ran well on the old Gateway (Although prone to crashes). While exploring the CDRom, I came across a curious little application called BUILD.EXE. Curious, I clicked it. Through experimentation and much reading of the help documents, I eventually discovered that A. 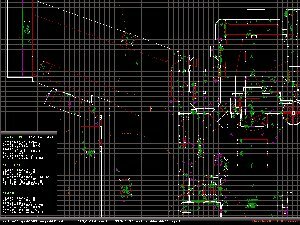 This application was fun, B. I could make user-levels for Duke Nukem with it, and C. It crashed very often. Reason A was my driving factor; with experimentation I eventually made a number of very, very ugly and near-unplayable Duke Nukem maps with it. 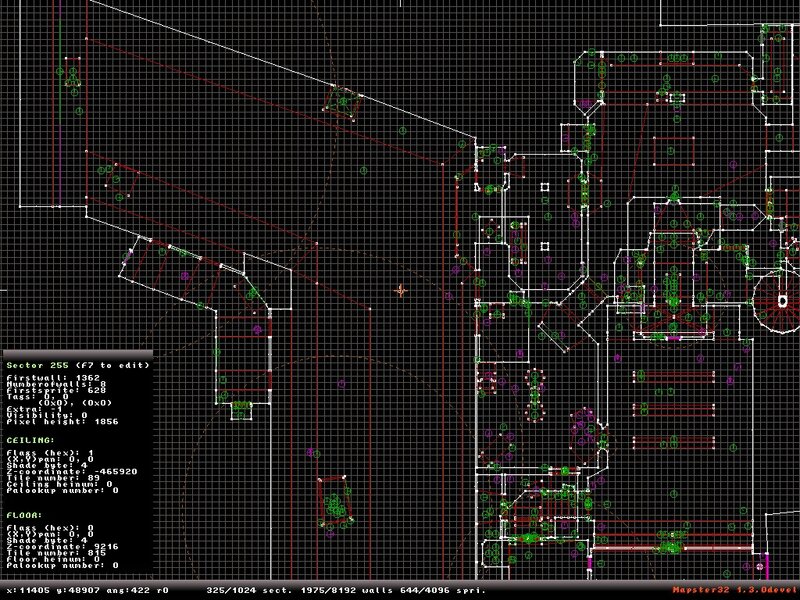 Screenshot of Mapster, the successor to the early BUILD editor. 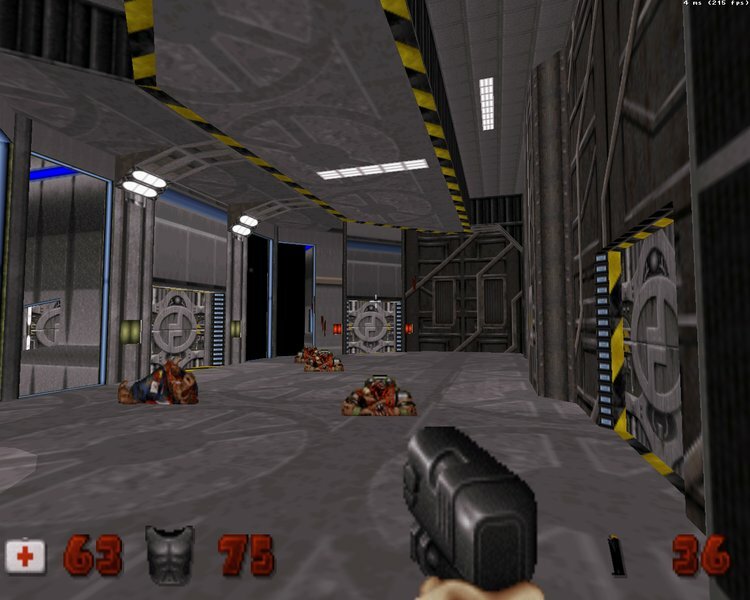 ...Until I discovered JonoF's Duke Nukem port for modern operating systems. It turns out that Ken Silverman, the bird-rescuing, hamburger-eating, unicycle-riding superhero insane coderman (One of them, at any rate), had released the BUILD engine source under a home-made license that looked suspiciously like the GNU GPL, only more understandable to the common layman. JonoF, the swell, great-bearded, code-juggling, bug-squashing insomniac superhero coderman (One of them), had taken the source and wrapped it in loving libraries and caring headers, and the result was a port that A. Was fun, B. Was playable under Windows XP, and C. Had, in addition to the old-school software renderer, an OpenGL renderer called Polymost. Once again, reason A was a driving factor, but in this case, B and C were fairly important as well. Since this was about the time I began to explore the Internet, I also came across the Duke Nukem High-Resolution Pack on what had been the 3D Realms forums before the company went belly-up. Taking advantages of the features of Polymost, the DNHRP provided high resolution replacement textures (Created entirely by the community) and models. Yes, you heard me: models. The Polymost engine supported md2/md3 models, and so a community-wide effort focused on replacing every graphical asset into higher resolution or full 3D assets. Also about this time, I discovered another port called EDuke32. At the time, I found myself saying, "Well this is exactly like JonoF's port, isn't it?" Not so. Eduke32, based on JFDuke and the now-defunct Eduke port for DOS, and maintained and coded by such applause-worthy, write-about-able, grilled-cheese-sandwich eating, self-propelled, bug anihhilating genius superhero codermen (some of them) such as TerminX and Plagman, is a very feature-rich port of JonoF that adds, among other things, enhanced scripting support, improved model support, texture caching and compressing, higher performance, dynamic lighting, including shadows and specular lighting (As of the new Polymer renderer in 2009), a breach of the old BUILD limits (4x as many sectors! Whoo!) and did I mention improved scripting? A very attractive gameplay mod called Duke Plus introduces many wonderful features, such as objects that can be picked up and dropped, multi-floor elevators, true transparent water without nasty hacks, transitions, intelligent DukeBot allies, customizeable monsters, and much more, all utilizing EDuke32's capabilities. Mid-2009, 3D Realms, the company that developed Duke Nukem 3D, went belly-up and took its main Duke Nukem forums with it. The forum contained such illustrious thread such as the High-Resolution Project and Eduke3D discussion threads. As of now, many of the denzines of that forum have relocated to the community-run site Duke4.net. Best viewed at 1024x768 resolution or above in Firefox, Chrome, or IE 8.